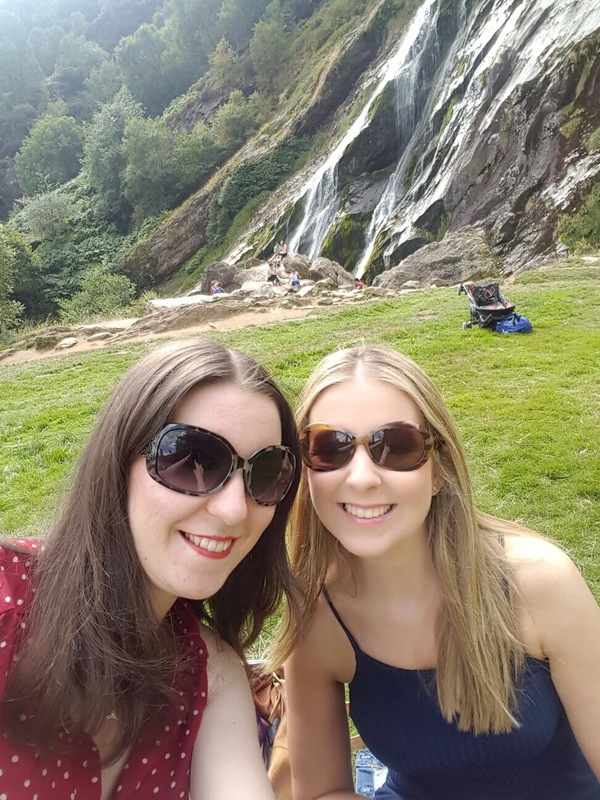 We grabbed lunch on the way down with a view to having a picnic by Powerscourt Waterfall before even checking in. The Red Bird Café is in the Bray Retail Park inside Flanagan Kerins Interiors is a hidden gem, in a very random place, resulting in fabulous made to order sandwiches, breads and homemade treats that rival Avoca but without the queue. Later, we had a cheeky pre-dinner cocktail in The Sugar Loaf lounge on the reception level overlooking the stunning mountain view. 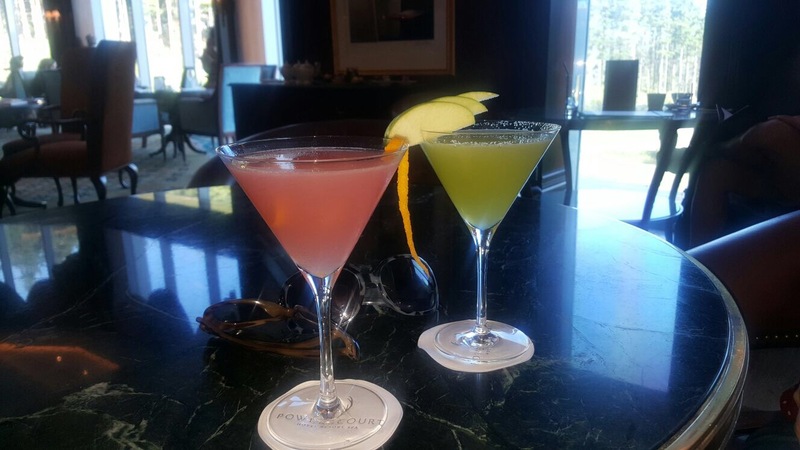 The cocktails weren’t cheap but they were made perfectly and worth every cent. We had dinner in McGill’s Pub, downstairs, which embodies the very essence of a friendly Irish pub with a brilliant bistro menu. If you were to close the door to the hall, you’d never know you were in a hotel, and the atmosphere was so buzzy. We ordered far too much food because everything looked amazing. We had a portion of chicken wings each for a starter, but with about 12 wings in a serving, you could easily share this between two. Claire opted for the burger and I had chili beef ragu with rice, but because my eyes are too big for my stomach, I ordered a side of chunky chips as well. Everything was delicious, until we couldn’t eat anymore! The cocktails in here were just as nice as in the lounge and we stayed here for the evening, although the hotel do run a great shuttle bus service into the village where there are other great pubs to try. The other option for dinner in the hotel is the Sika Restaurant with a fabulous menu and a great option for foodies or a date night. For afternoon tea and other bits and bites you can head to the sugar loaf lounge. We had breakfast in Sika the next morning and the choice was extensive; gorgeous hot food, smoothies, pastries, breads, fresh fruit, juices and cold meats and, as in every other part of our stay, friendly, helpful, warm and attentive staff. We took full advantage of the unbelievably good weather, and took our sandwiches straight to Powerscourt Waterfall. Its €6 in but the view is so worth it and you can get very close to the waterfall, which is the highest in Ireland. We would recommend you definitely bring a rug and picnic and sample their fab 99s. If you are bringing the kids, take a ball or some outdoor games. 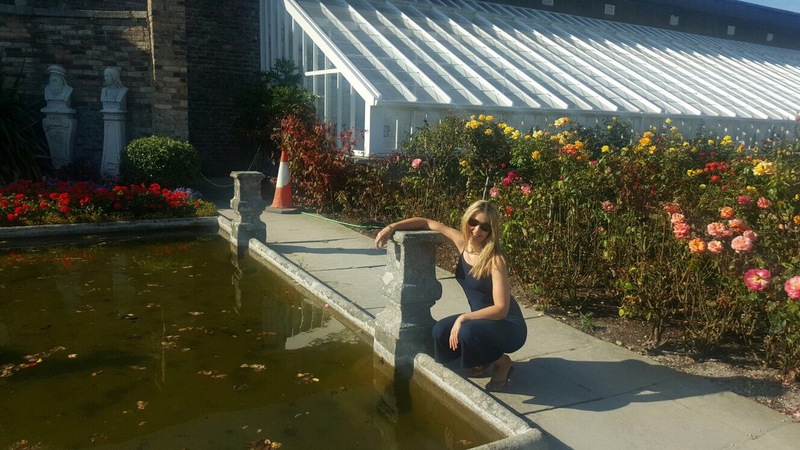 We then headed to Powerscourt Gardens for about an hour, which is €8 entry before heading for our spa treatments. 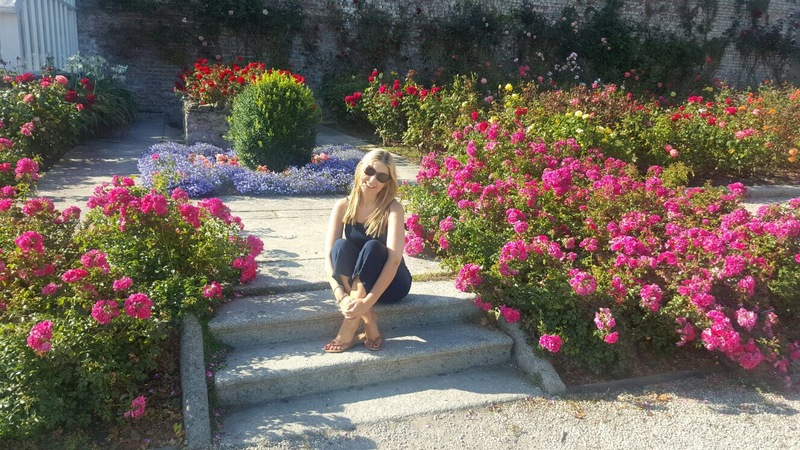 Powerscourt Gardens is one of Claire’s favourite places to go. 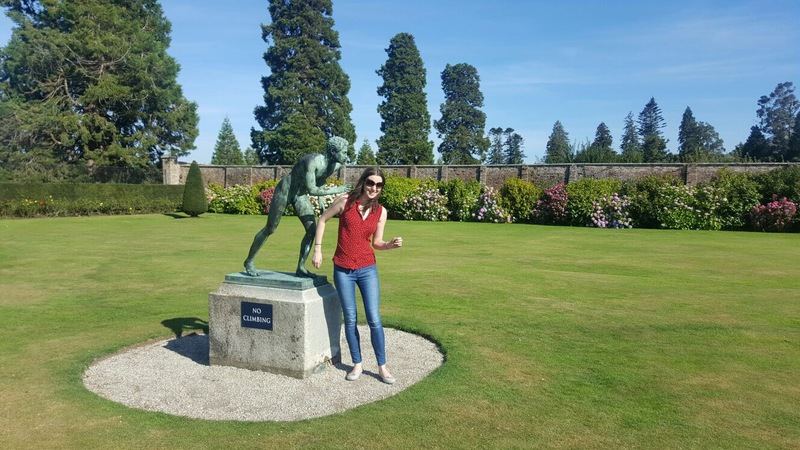 It did help that it was a stunning day, but the walled gardens, pet cemetery, Japanese gardens and water feature are all worth seeing and giving plenty of time to. It’s no wonder it’s been voted one of the top gardens in the world. The golf club is also nearby the hotel for any golfers, it hosts two breath taking top ranking courses. It has plenty of other things to do at the gardens, especially around Christmas. Their Santa experience is meant to be amazing. 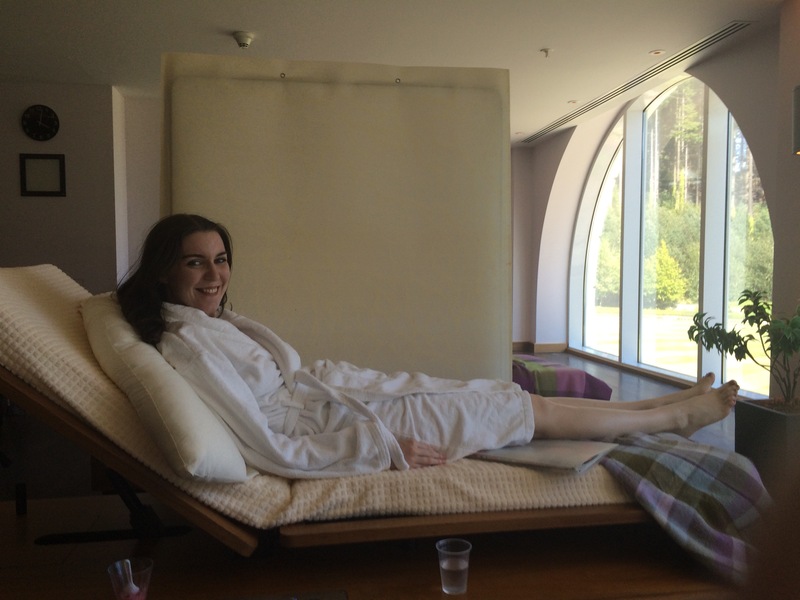 We both had 50 minute full body aromatherapy massages in the ESPA in Powerscourt Hotel. It was a really good treatment; a good consultation beforehand so the massage was tailored to each of our needs and was incredibly relaxing, enjoyable and stress reducing. Afterwards, you can spend as much time as you want in the peaceful relaxation room, which overlooks the hotel’s own beautiful grounds and has magazines, ice water and a range of herbal teas. 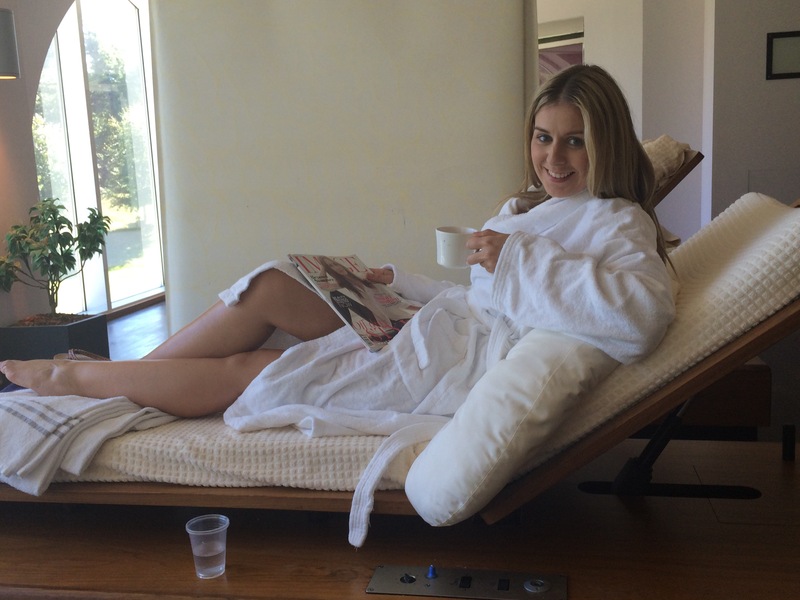 As spas go, this is definitely high end, the staff were all friendly and helpful and we would highly recommend it. The next day, after breakfast and check out we took a walk along the outskirts of the gardens, it is beautiful walk that only hotel guests can avail of. We also took some time to explore the garden centre at Powerscourt Gardens, which has gorgeous gifts, stationery and household items, as well as beautiful plants and flowers, we particularly liked the crystal angels from Arklow and Max Benjamin candles (Claire was buying some parting gifts for her colleagues in East Coast). 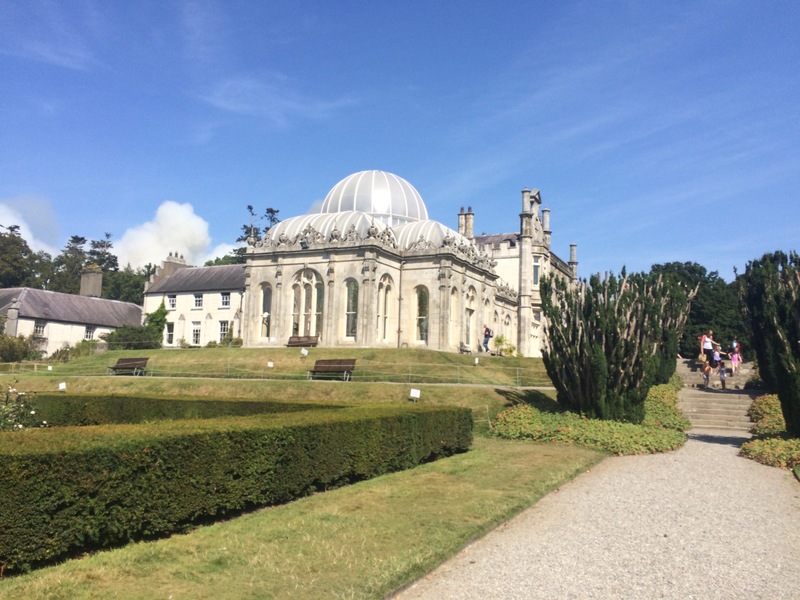 From there, we headed to Killruddery House & Gardens. Entry to the gardens is €7.50 or €14 if it includes a house tour, which is available daily except for Fridays. 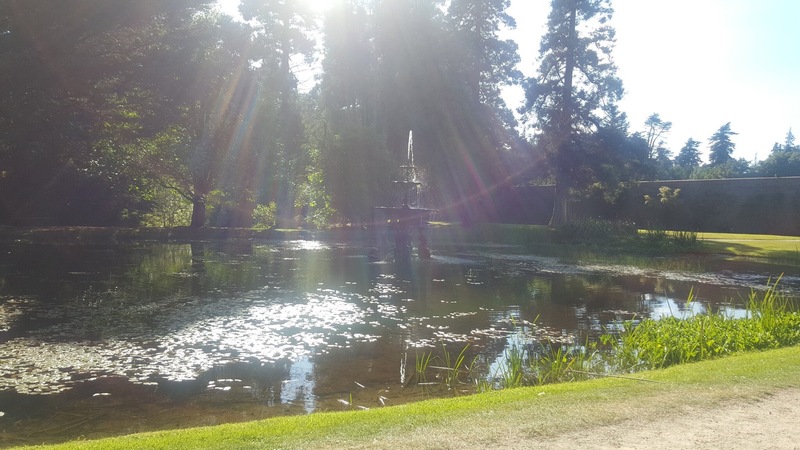 There is so much to see in the gardens and because it’s so vast, we would advise good walking shoes. It’s also a great place to have a picnic. We were blessed with the weather again and took our time looking at the farm animals, walking around and enjoying more ice-cream and coffee in the tea rooms. We would highly recommend this as a good spot to bring the kids. Although it is off season now, they have a wonderful farm market every Saturday from 10am to 4pm, free entry and free parking and they will run their usual gorgeous Christmas markets every Saturday and Sunday in December. Also, do keep an eye on the website as they host truly magical events for adults and children year round. Claire kindly drove us all around where we needed to go. But if you’re taking public transport, there’s an Aircoach, a DART and a Dublin Bus (145 from Heuston , 84/a from Blackrock and 45a from Dún Laoghaire) to Bray. From Bray, it’s less than €20 in a taxi to the hotel. 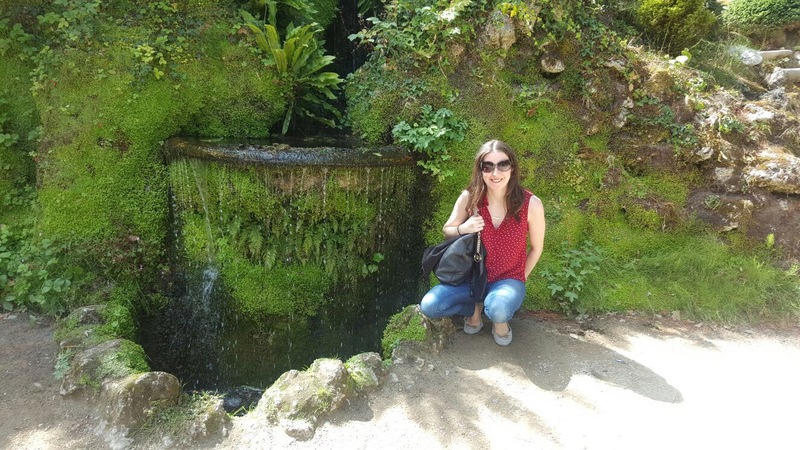 Powerscourt Gardens is a 10-15 minute walk from the hotel and the waterfall is about a 15 minute drive. Don’t walk to the waterfall as there are no footpaths and it’s quite far on foot. We are a little late posting this, as two new jobs and life got in the way, but both sets of gardens are well worth a visit year around, especially in this beautiful, sunny autumn freshness and Powerscourt Hotel is a must see, must stay, must visit year round – they have wonderful packages for weekends and midweek, whether you are looking for a pampering treat, romantic getaway or a gift for someone special this is a winner. 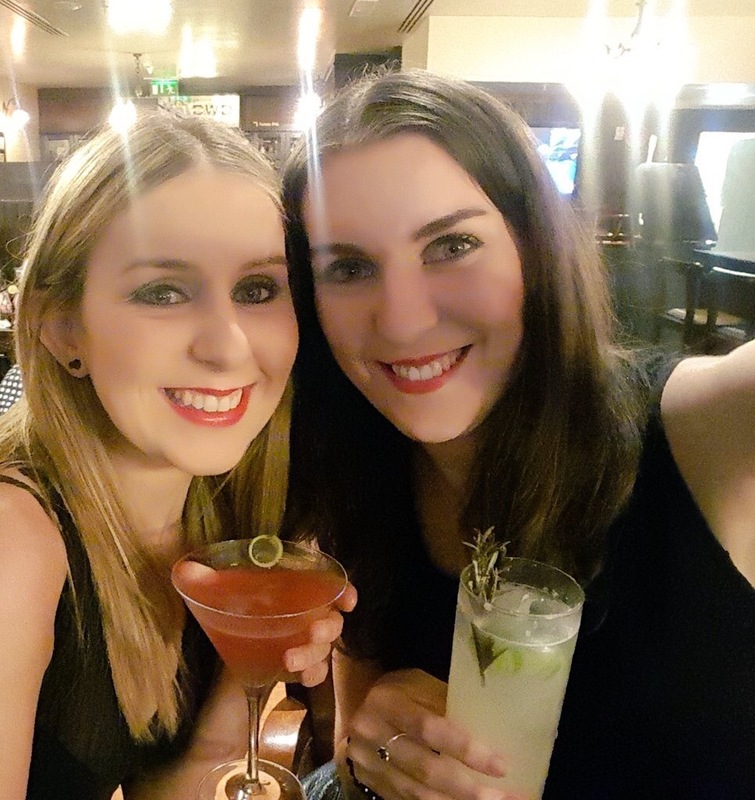 Claire is heading back for a black-tie wedding in December and dying to get back there. 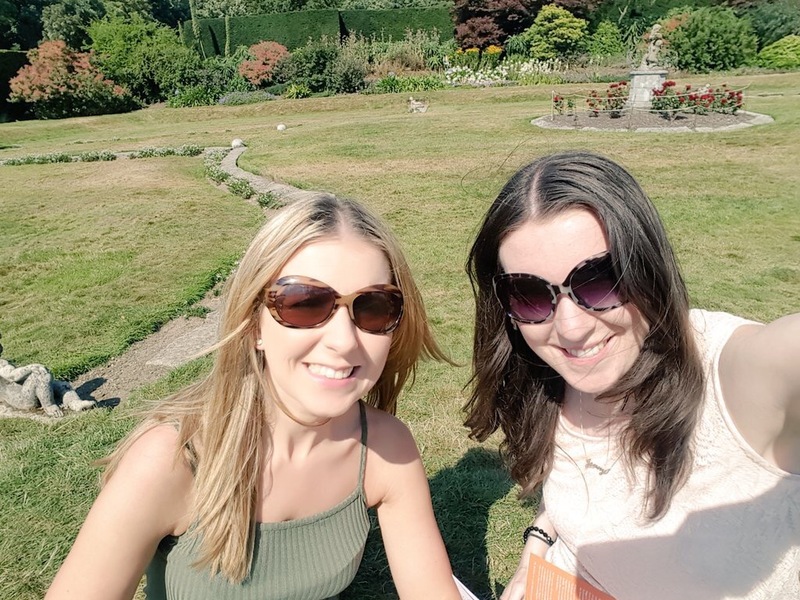 A special thank you to the lovely Laura Dunne in Powerscourt Hotel, she is a pal of Claire’s, fellow travel lover and was very helpful when we were planning and booking our trip.